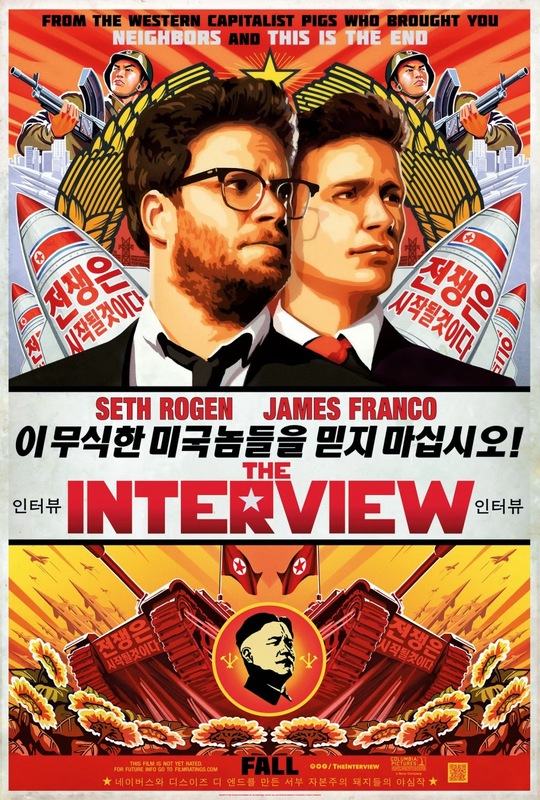 If you have not already know, for the past week or so, Sony's flick, The Interview (by Seth Rogen and James Franco), which was slated to be premiered on Christmas Day has met with an unprecedented cyber attack (rumored to be from North Korea) which causes the management at Sony to cancel their gala premiere in US. You see, the movie, The Interview is a comedy about an assassination mission on all people, the dictator of North Korea, Kim Jong-Un. So, it is no wonder that there is a linkage of the cyber attack (on Sony's computer system) and threats with North Korea. Of course, USA is strong proponent of freedom of speech and with the backing of the nation (including their president, Barack Obama), Sony decided to release the movie in theaters after all (but in a smaller scale). The latest update is that the movie was a hit for the movie goers (many of them watch it because of saga) and has since crossed a $1 million mark on the Christmas Day launch. In fact, I personally think that if not because of the saga, the movie might not be as popular or supported by fans. So, what investing lesson we can learn from this saga? Many of us read daily market news and at times, seemingly bad news (about a company or industry) might turn out to be a saving grace! Example on hand : the sudden steep drop of oil price recently might deemed as a concern to the overall market sentiment, however, it might actually benefit certain industry like those involved in transportation. This is just another "Thinking Out Loud" kind of post from me amidst the cold Saturday night.